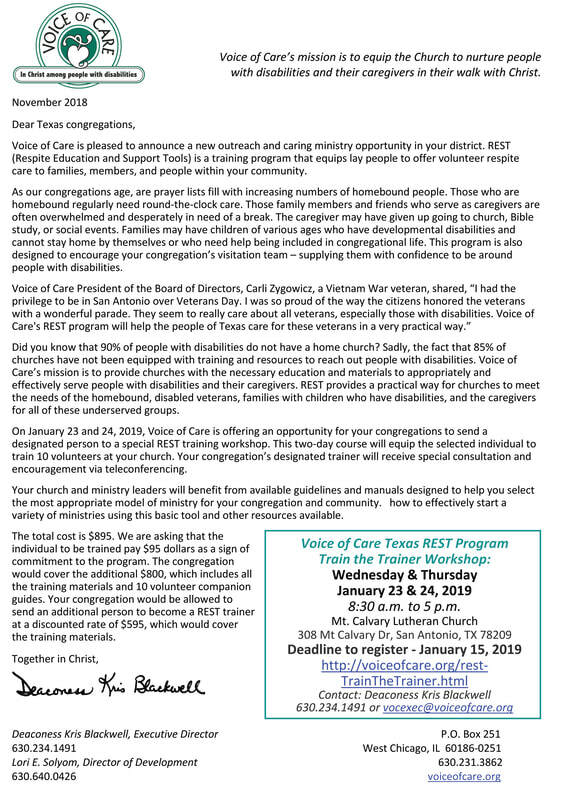 Click to download Texas REST Letter to Congregations. Call Deaconess Kris Blackwell at 630.234.1491. Click to download Texas REST Train the Trainer flyer. 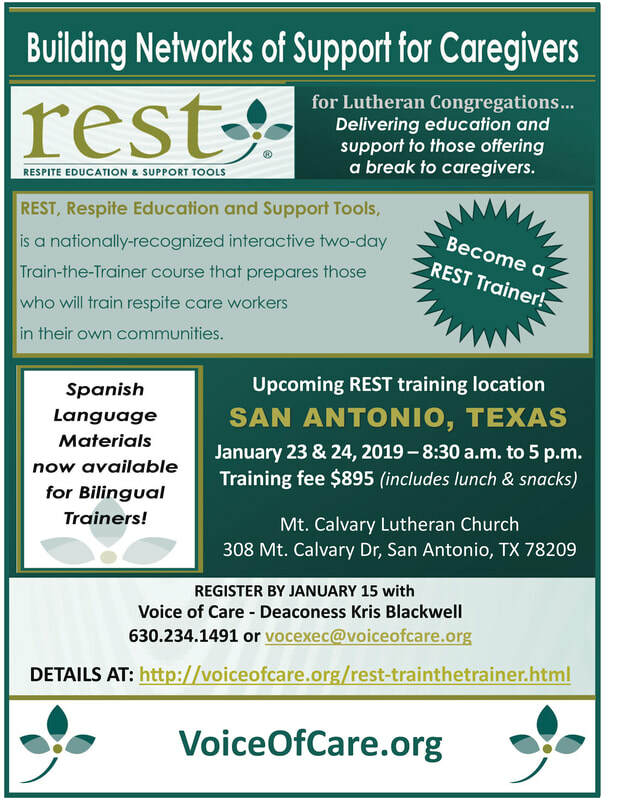 Click to learn more about Voice of Care's Lutheran REST Program Training. Clear to learn more about Voice of Care's respite care ministry. Voice of Care is a Recognized Service Organization of the Lutheran Church Missouri Synod. © Voice of Care 2018 all rights reserved.